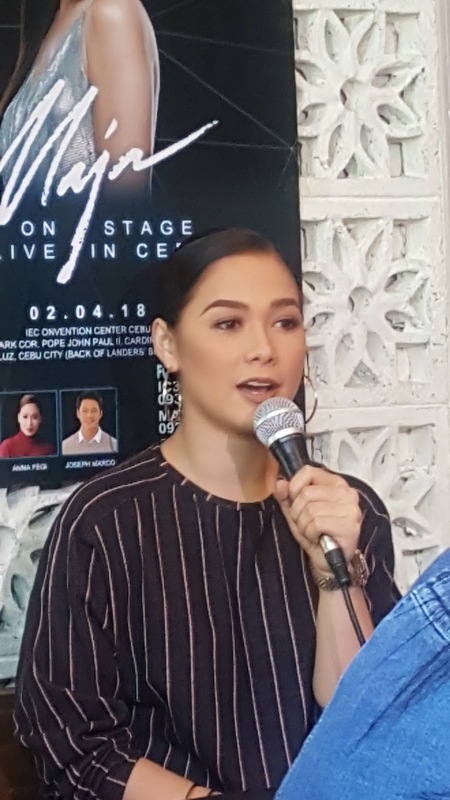 It will be difficult to live without the feisty Lily Cruz now that Wildflower is about to end so Maja Salvador will keep us all entertained as she returns onstage at IEC Convention in Cebu this February 4, 2018. Two years after Only Maja, our Dance Princess will stage her "Maja On Stage" tour from Cebu to abroad. She will be at The Big Box East Jurong Singapore on Feb18 and be back to entertain us at the Kia Theater in Cubao on March23. 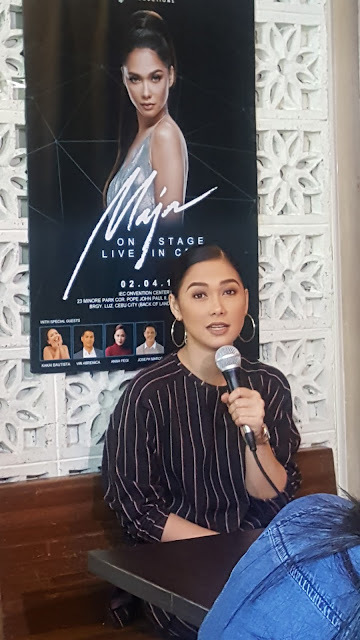 Joining Maja are Cacai Bautista, Vin Abrenica, Joseph Marco and Pooh. This will be her fourth after Maj: The Legal Performer(2014), Majasty(2015), and Only Maja(2016) so don't miss the fun. For tickets in Cebu call Mav at 0926-0747776-4306870, Christina 09372506848, Robinsons Galleria 09325110962, Rallion at 09219221796 and IC3 office at 3434854. For tickets in Sinagpore on Feb 18, please call 91440187.